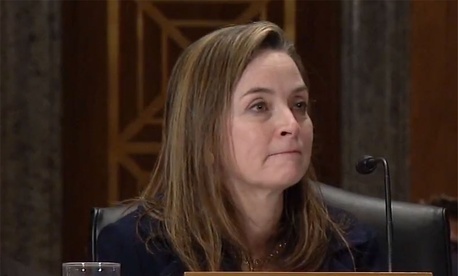 Acting Office of Personnel Management Director Margaret Weichert said Thursday that as the federal government enters the second year of implementing President Trump’s management agenda, she hopes to find ways to expand successful pilot programs related to hiring employees faster and reskilling workers to enter cybersecurity and IT jobs. In an interview with Government Executive, Weichert said that over the last year, she has been working to adopt an integrated approach to modernizing the federal workforce. Weichert said that a number of pilot programs to speed up the hiring process and provide workers with new tech-based skills have been successful, and she hopes to expand them over the next year. Expanding on comments made at the National Academy of Public Administration Wednesday, Weichert said agencies should consider finding ways to boost employee satisfaction that don't rely on compensation. She also provided more details about her vision for a new “holistic investigation” into federal employee compensation, which she said would be “additive” rather than an attempt to replace various existing efforts to compare federal and private sector pay. Weichert also seemed to acknowledge that in some instances, it might be justifiable for the federal government to overpay employees, particularly at the lower end of the pay scale, as some studies already show. But she suggested that while in some areas it is too difficult to keep employees, there are others where retention is hurting innovation.